How do you toilet train a gecko? Every night, they waken me with their weird sounds. 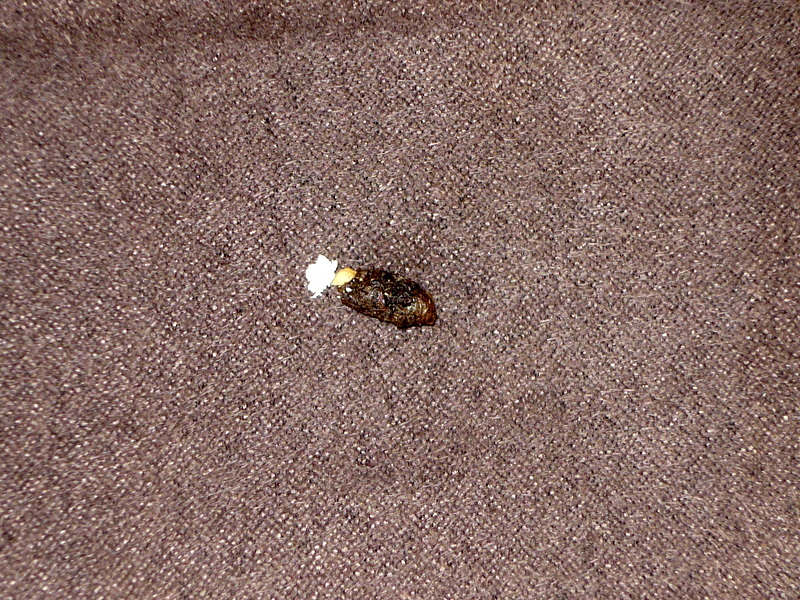 Every morning I find evidence of their nocturnal presence on my carpet, paintings and furniture. It's always this 2 tone style, kinda cute! So, I got to thinking. Maybe I can build them a nice little litter box to use, sort of like you train cats. Then, I wondered about rewards for when they do the right thing. I consulted with Alida (you remember her, “I’m almost a lawyer”. Works for Blood Out of a Stone and Associates). She suggested shiny ear-rings and cell phones: “Geckos like them” said Alida Attenborough. So, here’s the litter box. Now, I’m off to buy some glittering ear rings and a cell phone. Hope this works. 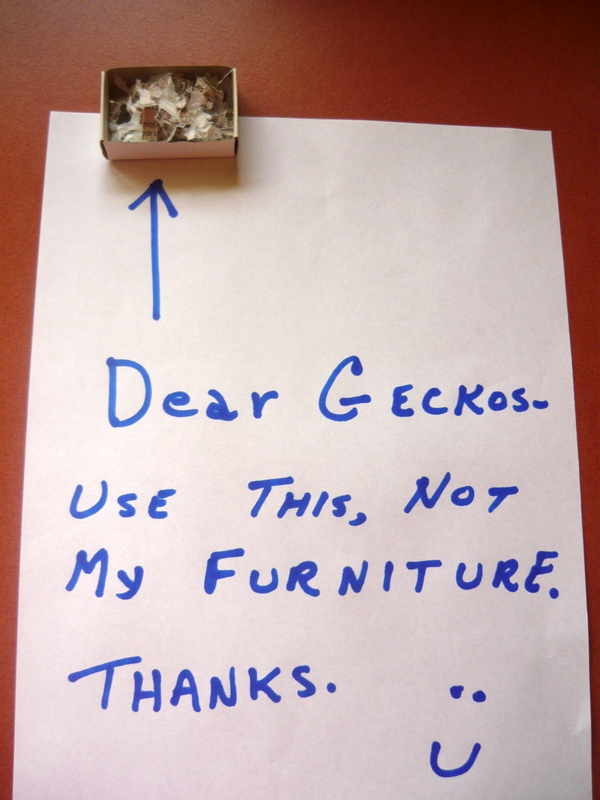 Maybe these geckos do not understand English, use sign language!!!! OK, I’ll give that a try, Petonis! This is serious stuff, Maxine! Hey, someone clicked on the link to your blog, and Sheila’s, from my blog. We’re spreading the word, woman!